• A WD Blue 3D NAND SATA SSD uses 3D NAND technology not only for higher capacities than the previous generation WD Blue SSDs, but also to help reduce cell-to-cell interference for enhanced reliability. 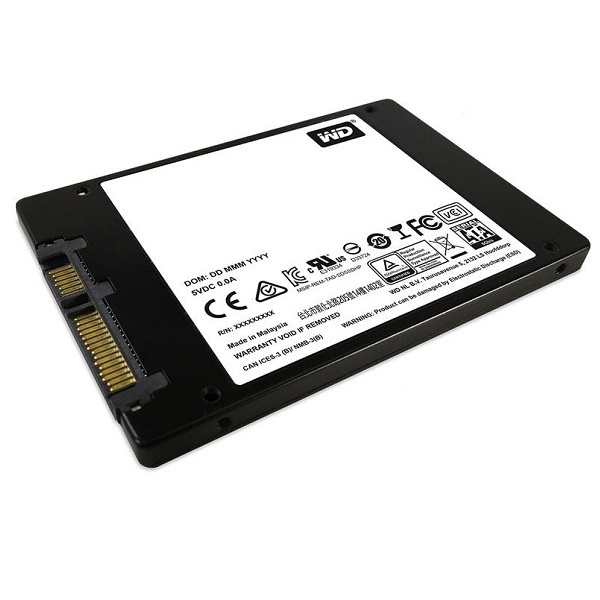 • Offering improved endurance, a WD Blue 3D NAND SATA SSD features an active power draw up to 25% lower than previous generations of WD Blue SSDs. And with less power used, you’re able to work longer before recharging your laptop. 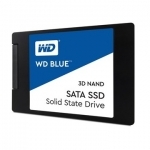 • For high-end computing applications like gaming, HD media playback, or creative software, look to WD Blue 3D NAND SATA SSDs. 3D NAND technology helps enable sequential read speeds up to 560MB/s and sequential write speeds up to 530MB/s for fast system boot-ups, quick application responses, and rapid transfer speeds.